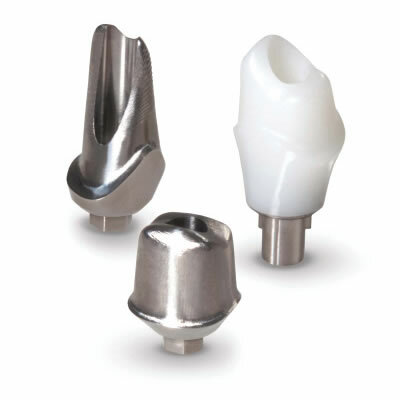 TI abutment with PFM (Noble Alloy Inc) or Full Contour Zirconia. Cement OR Screw-Retained! We provide access hole on a CUSTOM Abutment! Including however, NOT LIMTED to: Atlantis™, BioMet3i / BellaTEK®, Straumann™, Nobel Biocare™, Zimmer®, BioHorizons®, Sweden & Martina and Implant-Direct.